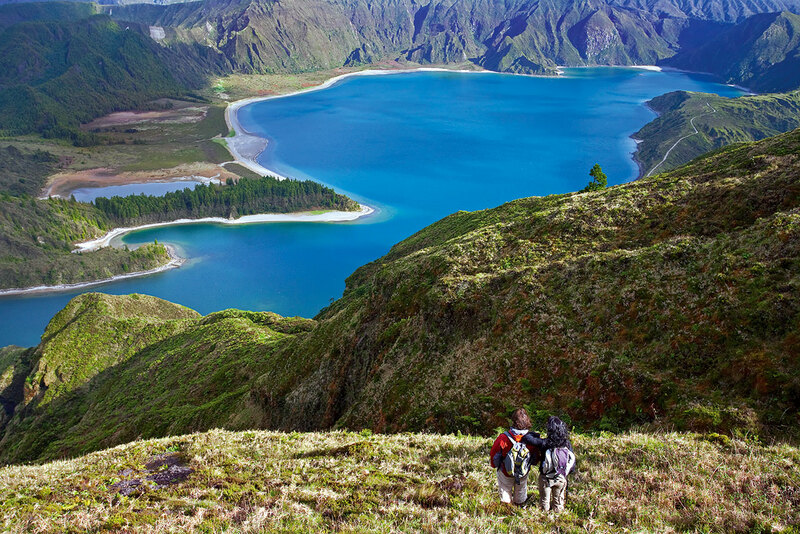 At the highest point of the island it is possible to go around the crater and contemplate the lake inside. 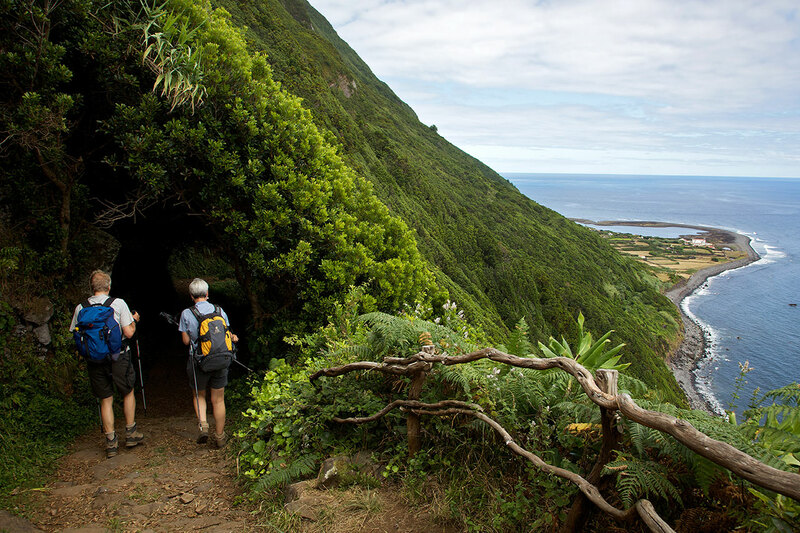 Return to the main road and continue the trail, now in a descending stage, along the central range of the island. Pass by Pico do Areiro and further ahead, by Pico Pinheiro, both with lakes inside their craters. 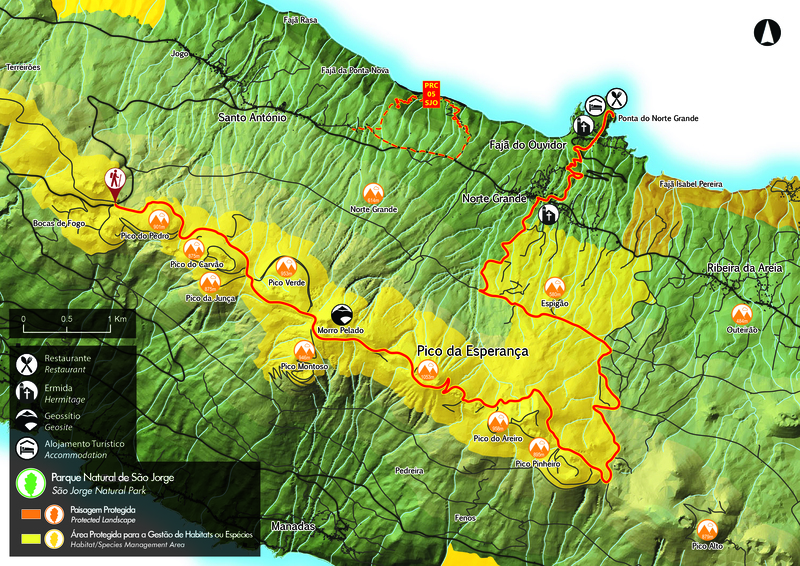 From here, the walk goes towards North, to Fajã do Ouvidor passing by wooden areas, agricultural roads and some sections in tarmac road. 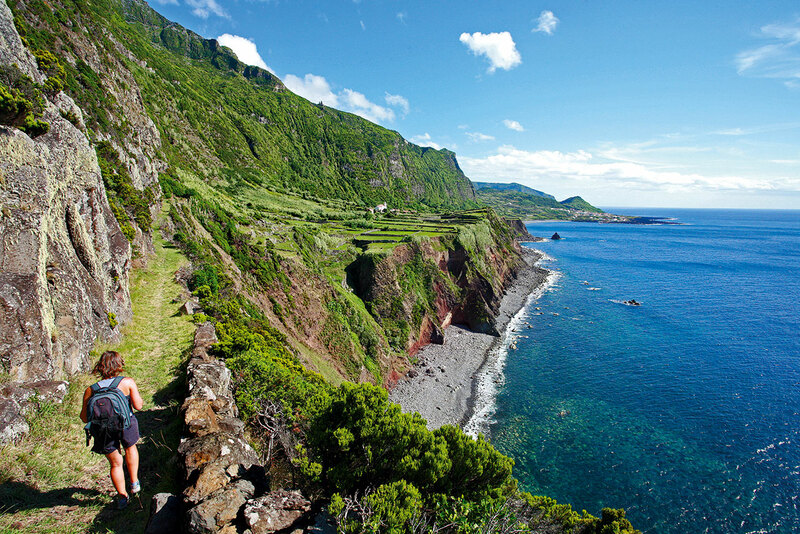 This fajã, unlike the others detrital fajãs typical in São Jorge, it is from lava nature with big dimensions. This flat available area, allowed a bigger development of the place with its local commerce, the existence of a fishing harbor and a bathing area.